I was 16 1/2 years old when I first saw it at the Village Gate Theater on Bleecker Street in New York. I went with my parents and I can remember virtually every detail, as this was my first exposure to really biting (adult) anti-establishment political satire. It was also the first time I saw the, then young, actors Stacy Keach (MacBird), William Devane (Robert [Kennedy]), Rue McClanahan (Lady MacBird), John Pleshette (Ted [Kennedy]), and Cleavon Little (as the Muslim Witch). In this case a “Black Muslim” witch, the kind of which was scaring the bejesus out of white America. Some of you may remember the late Mr. Little was the African American marshal in Mel Brooks’ comic western Blazing Saddles. If only for the cast, many who went on to stellar careers, this was a historic theatrical experience, but the theme was heatedly controversial too. 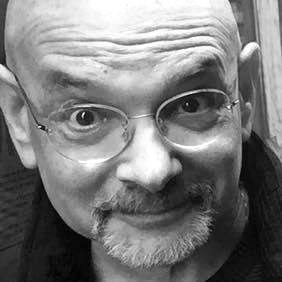 MacBird, a send-up of Macbeth, was published three years after the Kennedy assassination, an event so psychically devastating that it was hard to believe back then that humor was not forever dead, in the same way it was said that irony died after 9/11. LBJ had less than two years remaining in his term and there was no indication that he would ultimately not seek re-election. It was a critical, tumultuous, and angry time. 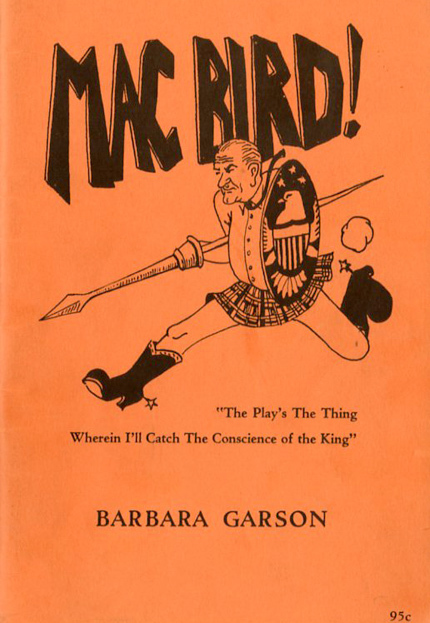 MacBird was a full-dress Shakespearean costume “drama,” with Texan and Bostonian accents replacing the Bard’s English. The first act began at the 1960 Democratic National Convention, where in reality the powerful Senate Democrat leader LBJ sought to wrest the presidential nomination from the upstart JFK. In the scene, MacBird and Lady MacBird scheme to manipulate the selection of King. MacBird, however, looses to John Ken O’Dunc and as a consolation is named Viceroy (VP) — much to the consternation of Ken O’Dunc’s formidable clan. That is, if you’ll accept the second place. And hopes that you’ll agree to grace the slate. 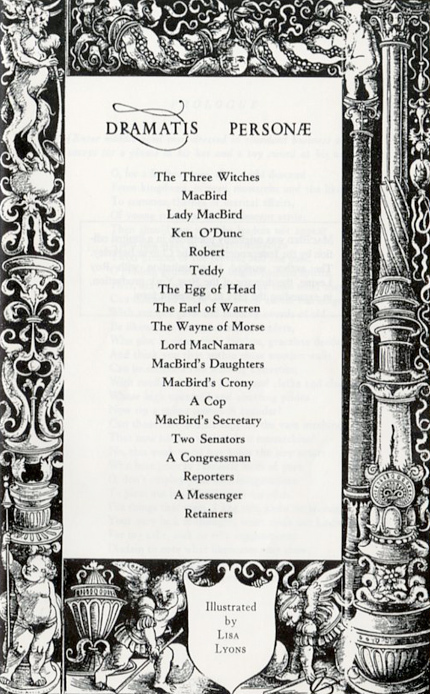 MacBird happens upon three witches (sound similar to the sirens of Homer’s Odyssey or Oh Brother Where Art Thou?) who speak to him in riddles, urging him to become King by whatever means are necessary. The kings unkinged. We have a world to win! MACBIRD: Vice-president — and President to be! To make his fantasy reality MacBird, adroitly played by Keach who even looked identical to LBJ, invites Ken O’Dunc and kin to his ranch following the coronation. As this fateful event unfolds, Lady MacBird, who insistently complains of the dirty work she must endure as a Viceroy’s wife, finds an opportunity for MacBird to seize the throne and becomes the brains behind the coup. 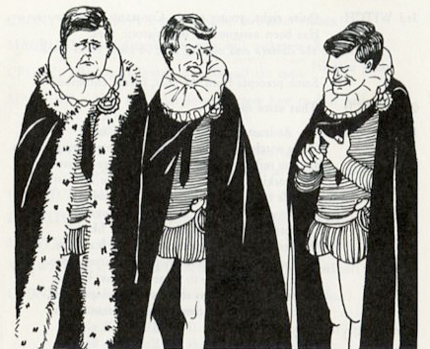 Following the real Dallas scenario, a procession is planned headed by Ken O’Dunc, followed by his brothers and lesser nobles of the court (i.e. its chief, the Earl of Warren). Unexpectedly, shots are fired — and I can still viscerally recall violently flinching in my seat. 3rd VOICE: They’ve shot the President! 5th VOICE: Oh, piteous sight! Burn baby burn, and cauldron bubble. In the end MacBird realizes his greatest enemy is Robert (who in 1968 would run for president in the primaries against LBJ). ROBERT: Your charm is curse. Prepare to hear the worst. Prepared his sons for their envisaged greatness. Confirmed for him our place as lords and leaders. Our pulpy human hearts were cut away. Of steel and plastic tubing was inserted. A tepid antiseptic brine injected. Thus steeling us to rule as more than men. Your heartless, bloodless foe now lifts his spear. Thus cracks a noble heart! There are so many things that I now vividly recall from the viewing and reading of MacBird, not the least being the illustrated logo and the drawings that ran through the book (which incidentally sold over 200,000 copies in 1967). The hand lettered title “MacBird!” with a caricature of LBJ running with spear and shield in hand, wearing a veritable mini-skirt and cowboy boots with spurs, symbolized what many believed was his recklessness in Vietnam. Also, until that time most satire (other than Lenny Bruce) was held to certain standard of decorum. This play stripped off that civil façade. As Macbeth and MacBird were tragic figures, so, in truth, was LBJ whose legacy was not his progressive civil rights legislation but his unreasonable prosecution of the war. Of course, Robert Kennedy was assassinated only two years after the play was published, although he lived long enough to fulfill Barbara Garson’s prescience with his run in the Democratic primaries against LBJ. And Teddy had myriad problems that prevented him from the ultimate envisaged greatness — the presidency — although his life as senator was extraordinary and significant. Macbeth and MacBird were tragic figures but Duncan and Bobbie Ken O’Dunc were revealed as the real bad guys. In an era where the Left is largely represented by people who are dressed up and waiting for hallowe'en and someone whose domestic politics have more than a bit in common with Richard Nixon's can be called a socialist crypto-Kenyan, it's easy to forget that many leftists regarded liberals and conservatives as cut from the same cloth. Thanks for the kind retro-review. I"ll pass it along to Lisa Lyons who did the wonderful drawings.